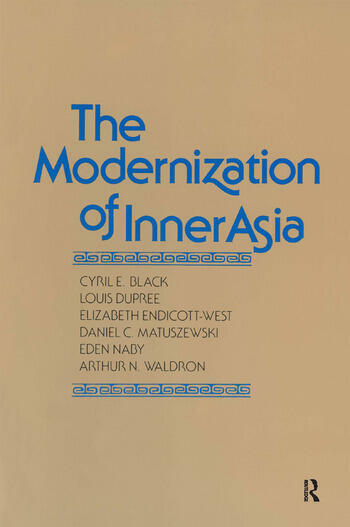 Inner Asia - in premodern times the little-known land of nomads and semi-nomads - has moved to the world's front page in the 20th century as the complex struggles for the future of Afghanistan, Soviet Central Asia, Tibet and other territories make clear. But because Inner Asia as a whole is divided among several states politically and among area specialists academically, broad perspectives on recent events are difficult to find. This work treats the region as a single unit, providing both an account of the region's past and an analysis of its present and its prospects in a thematic, rather than a strictly country-by-country manner. This book surveys the complicated history of U.S.-Chinese relations. After two brief chapters providing historical context, the focus shifts to the mid-twentieth century, the wartime alliance, the war's bitter aftermath, and the decades since World War II, including the path from normalisation to China's hosting of the 2008 Summer Olympics. The author traces the ways in which the two countries have managed the blend of common and competitive interests in their economic and strategic relationships; the shifting political base for Sino-American relations within each country; the emergence and dissolution of rival political coalitions supporting and opposing the relationship; the evolution of each society's perceptions of the other; and ongoing differences regarding controversial topics like Taiwan and human rights. The author's early years in China, American education, and career as a China expert and an advisor on U.S.-China relations and cultural affairs for over fifty years, have afforded him unique opportunities to observe and participate in the development of this important relationship.